How do I know which type I should be? What are corporations, and are there different types? What are the benefits and drawbacks of each type? Can you draw up and file my letters of incorporation? Are you familiar with the tax questions that may arise in these decisions? ​Do I need licenses and permits? ​What do I need to file with the county, city, state, and federal government? ​I need a bond, what is a bond, what is the process to obtain one? ​​What types of filings need to be made when starting a business? ​What legal services can be offered when buying or selling a business? ​What do I need to start a business? ​Money. The answer changes dramatically if the question becomes “What do I need to be successful in a business?’’ but that is beyond the scope of this firm’s advisement. ​There are a few basic business structures that are available in all states such as a sole proprietorship, a partnership, and a corporation. From that basic list, there are several variations on each business structure which further differentiate them and provide different advantages. Considerations to have when deciding on which type of business organization suits you include the number of owners, their relative comfort level with liability exposure, the amount of capital invested, the ability to adhere to ongoing procedural requirements, the differing filing and annual fees, tax advantages, the business model, and future vision of the company. ​How do I know which type I should be? ​You can go to the library and research all of the information available on each type of business or you can consult with a lawyer. A CPA or accountant is also a helpful resource but their knowledge is specialized in accounting principles and not necessarily legal requirements or liability exposure. ​Corporations are a type of business entity organized primarily for the purpose of liability protection. When you want to protect your individually owned assets from potential collection in a lawsuit, you would consider organizing a business entity that shelters you from that liability. Many people think liability protection is automatic once the corporation is properly formed. However, the devil is in the details. Liability protection is only available if the business continues to abide by necessary protocol to uphold its status. This is where most people make mistakes and jeopardize the very reason they incorporated in the first place. Yes, the two most common types of corporations are the Subchapter C and the Subchapter S. There are different qualifications for each type and they are treated differently for accounting purposes which results in different tax treatment. Qualified smaller corporations tend to benefit from organizing as a Subchapter S.
If you can qualify for Subchapter S status, you will have the benefit of advantaged tax treatment on your business profit. ​Can you draw up and file my letters of incorporation? Yes. Preparing and filing articles of incorporation are considered aspects of business formation. It may not be in your best interest to incorporate. Our firm first consults with you about the various circumstances of the proposed business and your personal situation. Then, you are informed of your available options and advised of the advantages and disadvantages so that you can make an informed decision about whether you want to incorporate. ​Are you familiar with the tax questions that may arise in these decisions? ​Generally speaking, attorneys who offer business formation and transactional business services possess basic to intermediate-level knowledge relevant to business tax implications. Additionally, these types of attorneys tend to have relationships with CPAs or accountants who are a resource for advanced tax questions. Some lawyers are also CPAs and some law firms employ accountants or CPAs. ​License and permits regulations vary among different industries. There are state and municipal licenses which may apply to your type of business. In some areas, certain businesses are required to have both. ​This answer depends on the business industry, the type of business entity, and your business location. ​A bond is a fixed insurance policy which protects the bondholder against the person or company covered by the bond for certain actions, for a set dollar amount of coverage, and for a fixed period of time, usually one year. You would call an insurance company to ask whether they offer bonds for the purpose you need. ​What types of filings need to be made when starting a business? ​The answer depends entirely on the type of business structure you intend to form. What legal services can be offered when buying or selling a business? ​Whether you are buying or selling a business will determine what types of legal services you need. In both instances, one of the most important considerations of the transaction is how the business is valued. A buyer wants to be sure he is not paying more than the venture is worth and the seller has an interest in being fairly compensated. There are several methods of valuing a business and each method has advantages and disadvantages that determine which method would best apply to your situation. Additionally, does the sales contract adequately protect your position and include provisions that address unexpected circumstances? An attorney with experience in drafting and negotiating these transactions will think of circumstances that you may not foresee. Other legal services relevant to sales of businesses include legally winding up business affairs depending on the type of entity and, conversely, ensuring a purchased business is organized in a manner that fits your circumstances with regard to liability exposure, internal structure and management, buy-sell agreements, vendor contracts, lease agreements, employee and compensation policies, among other potential issues. 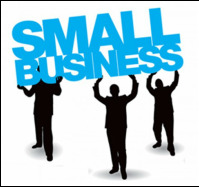 ​What types of small business matters can you assist with? Our firm is focused on serving clients for their estate needs and often times, those estates include business entities. As a result, we are retained for matters such as business formation, drafting operating and buy-sell agreements, performing business valuations, and drafting or reviewing contracts. Owning a business is an important part of one’s estate and treating it properly with the estate plan in mind is essential.